Using an "opaque and secretive network" of subsidiaries in tax havens, top American corporations have stashed $1.4 trillion offshore, a new report from Oxfam shows. With "a range of tricks, tools, and loopholes," for tax avoidance, the 50 largest U.S. companies, including well-known names like Goldman Sachs, Verizon Communications, Apple, Coca-Cola, IBM and Chevron, raked in $4 trillion in profits globally between 2008 and 2014, are contributing to inequality, the anti-poverty group said. The report, "Broken at the Top," states that such tax dodging is one of the "profit-making strategies of many multinational corporations." * From 2008 - 2014, the 50 largest U.S. companies collectively received $27 in federal loans, loan guarantees and bailouts for every $1 they paid in federal taxes. * From 2008 - 2014, these 50 companies spent approximately $2.6 billion on lobbying while receiving nearly $11.2 trillion in federal loans, loan guarantees and bailouts. 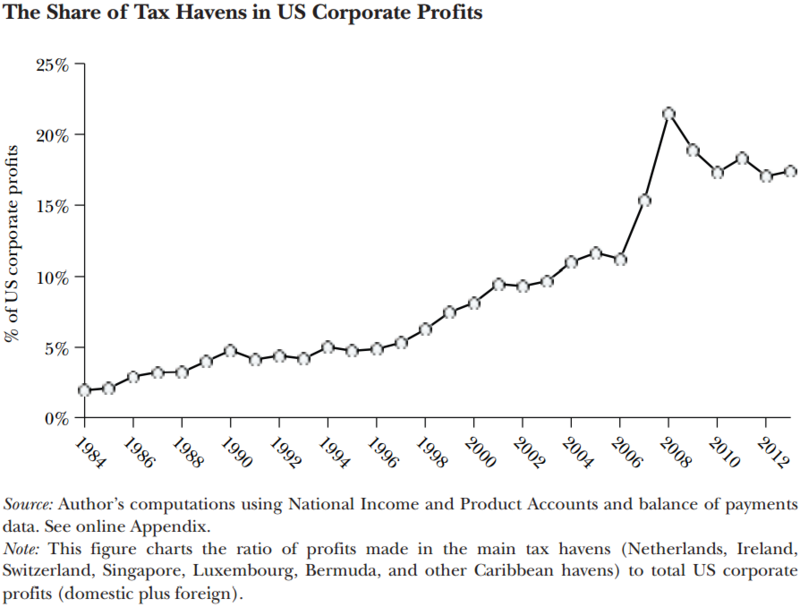 Explaining part of their strategy to lower their overall tax rate, the report states: "As a group, U.S. multinationals report that 43 % of their foreign earnings come from five tax haven jurisdictions, yet these countries accounted for only 4% of the companies' foreign workforces and just 7% of their foreign investment." 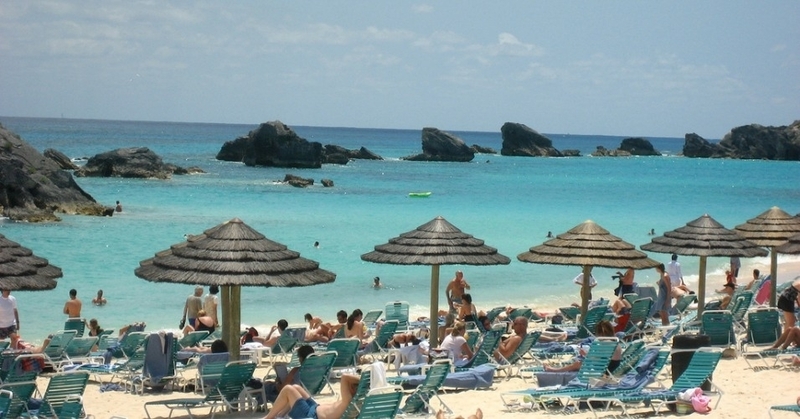 Take Bermuda, for example. The report states that U.S. companies reported $80 billion of profits in 2012 in the archipelago - but that's more than the companies' reported profits in Japan, China, Germany and France combined. In other words, it "clearly does not reflect the real economic activity taking place in Bermuda." A point highlighted by the report: "We should not lose sight of why tax dodging matters to average people." It notes: "Fair tax systems are vital to finance well-functioning and efficient states and to enable governments to fulfill their obligations to uphold citizens' rights to essential services such as healthcare, education, and social protection for low income families." Look no farther than Flint, Michigan - a city facing "falling tax revenues and budget cuts" that took the purported cost-reducing strategies of installing an emergency manager and switching the water system to the Flint River from the Detroit water system, which lead to thousands of children being exposed to lead contamination. As the report was released in the wake of the Panama Papers, a massive leak that exposed how the world's rich and powerful use tax havens to hide their wealth, Robbie Silverman, Senior Tax Advisor at Oxfam, said, "Yet again we have evidence of a massive systematic abuse of the global tax system. "When corporations don't pay their fair share of taxes governments are forced to cut back on essential services or levy higher taxes on the rest of us. It's time governments stopped pandering to big business and started working for the good of their citizens. "We can't go on with a situation where the rich and powerful are not paying their fair share of tax, leaving the rest of us to foot the bill. Governments across the globe must come together now to end the era of tax havens," Silverman said. This work originally appeared at Common Dreams and is licensed under a Creative Commons Attribution-Share Alike 3.0 License. * Deepwater Horizon Settlement Comes With $5.35 Billion Tax Windfall. * Offshoring By 29 Companies Costs Illinois $1.2 Billion Annually. * Government Agencies Allow Corporations To Write Off Billions In Federal Settlements. * The Gang Of 62 Vs. The World. * Tax Day: Patriotic Millionaires Available For Comment. * How The Maker Of TurboTax Fought Free, Simple Tax Filing. * The Panama Papers: Remarkable Global Media Collaboration Cracks Walls Of Offshore Tax Haven Secrecy. * The Panama Papers: Prosecutors Open Probes. * Adventures In Tax Avoidance. * Mossack Fonseca's Oligarchs, Dictators And Corrupt White-Collar Businessmen. * Jonathan Pie, TV Reporter! They're All In It Together. * Meet The Panama Papers Editor Who Handled 376 Reporters In 80 Countries. MUSIC - Boy Band Con. POLITICS - Barrington Teen Trying To Save Your Lousy World. SPORTS - Tom Izzo Is White. BOOKS - American Punishment Awards. PEOPLE PLACES & THINGS - The Chicago Tool Library.